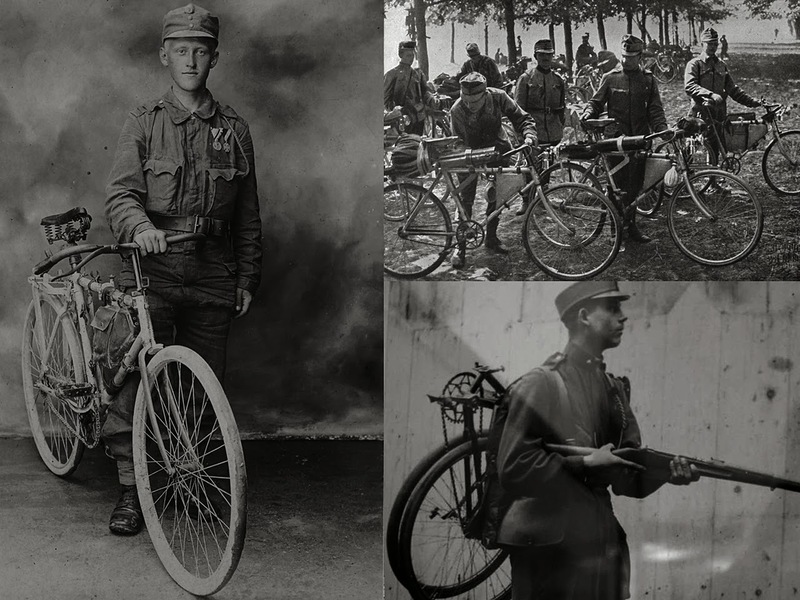 1906 the austrian Ministry of War (Reichskriegsministerium - RKM) ordered samples of foldable bicycles from different austrian bicycle producers. 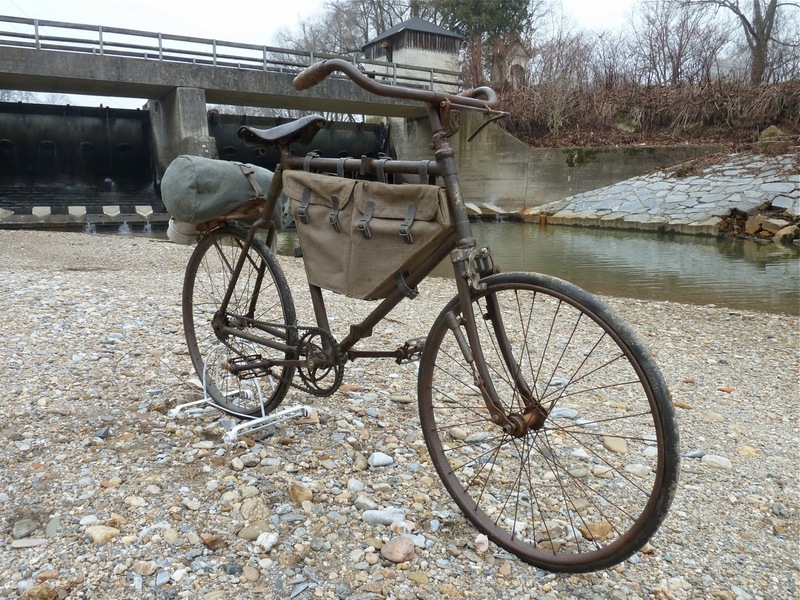 The RKM got in contact with a Mr. Rossi - who was the producer of the Rossi-Melli folding bicycles for the italian army - and he offered them to build these kind of bicycles for the austrian army too - and sent them 2 examples of his patented bicycle. The RKM tested the Rossi-Melli bicycles and were satisfied - so they sent the two Rossi-Melli bicycles to Styria Fahrradwerke and Steyr Waffenfabriksgesellschaft to develop their own folding bicycles. 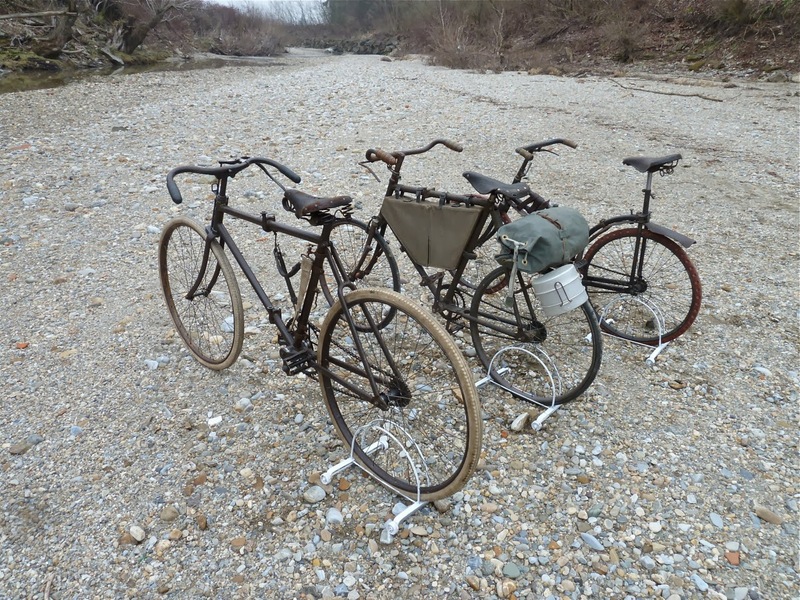 1907 Steyr and Styria sent back their own examples of folding bicycles to the RKM and after intensive testing and some changes (the chainwheel/gearing was too low for using the bicycles on bad roads and in terrain, the carrying-equipment was not comfortable) the RKM ordered the first bicycles - 13 exemplars from Styria and 14 from Steyr. 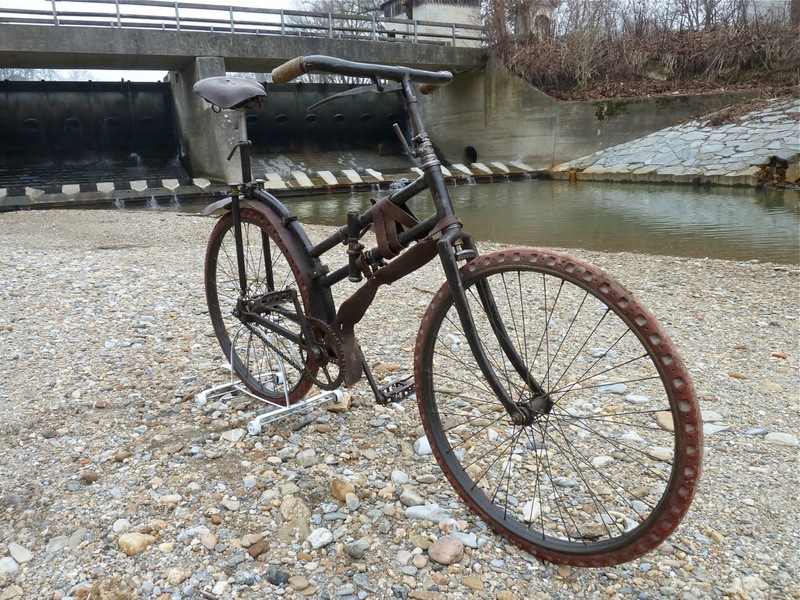 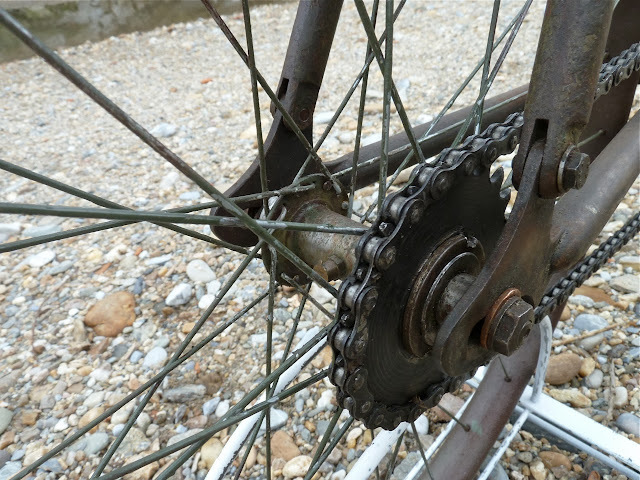 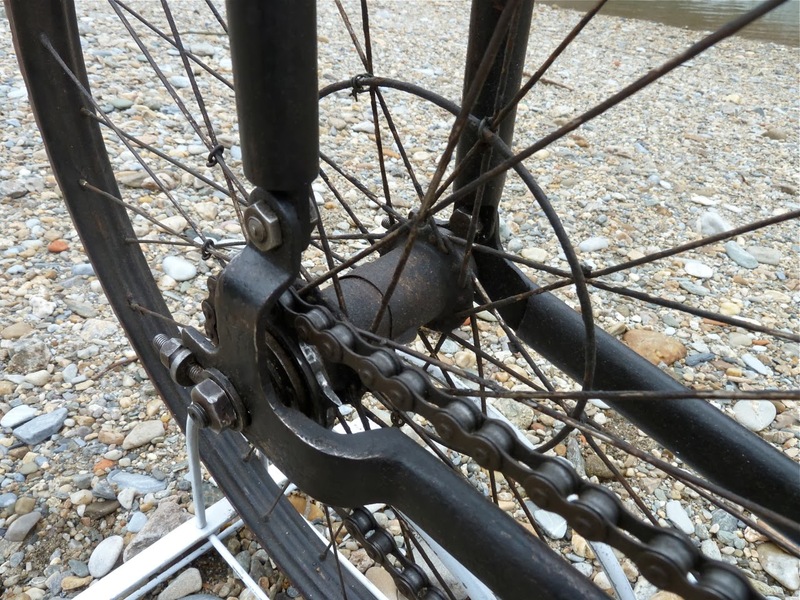 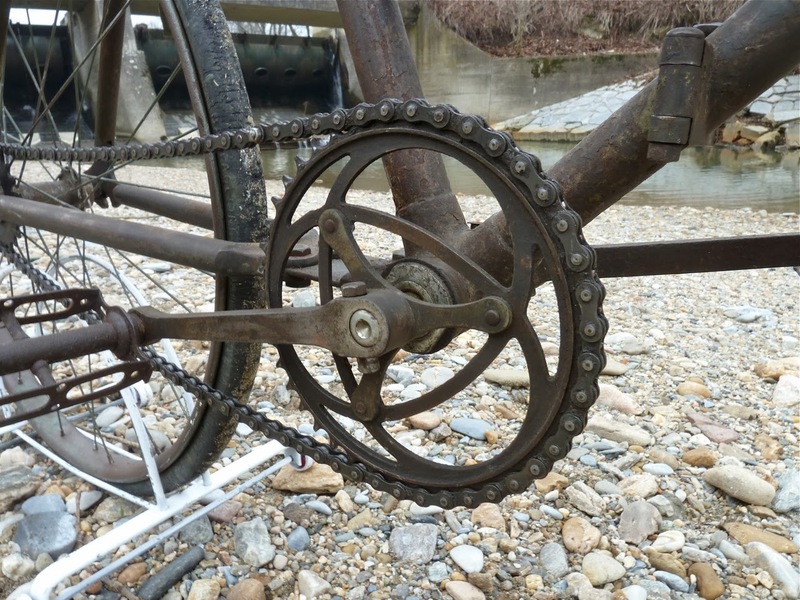 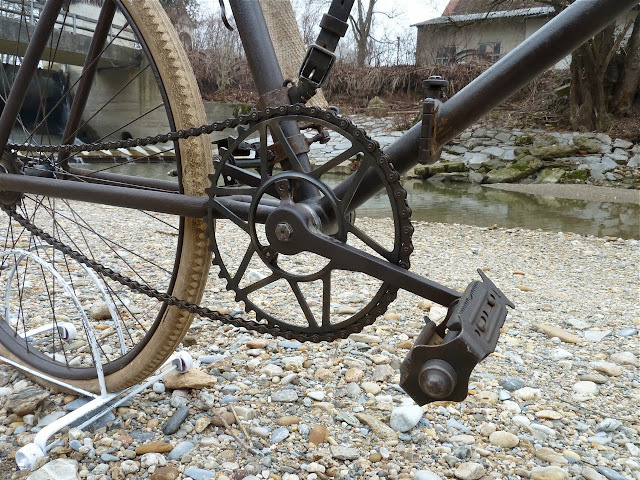 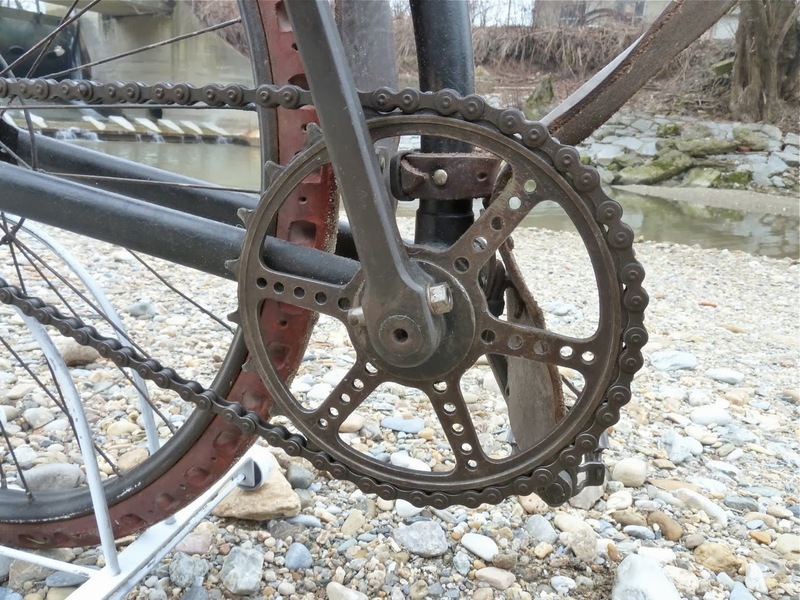 The RKM required that the folding bicycles built by Steyr and Styria should be very similar, only some parts like the chainwheel, brake, etc were different. 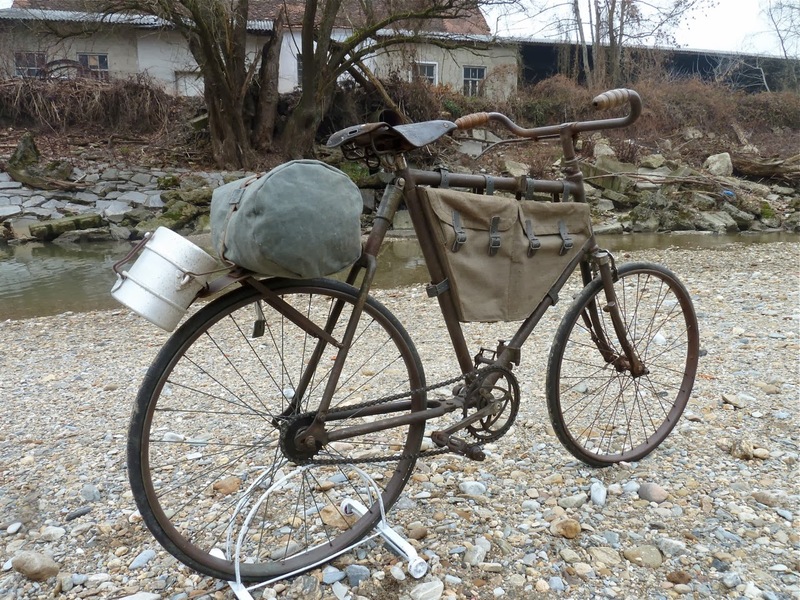 It seems that very soon Steyr got the exclusive order to build folding bicycles for the austrian army. 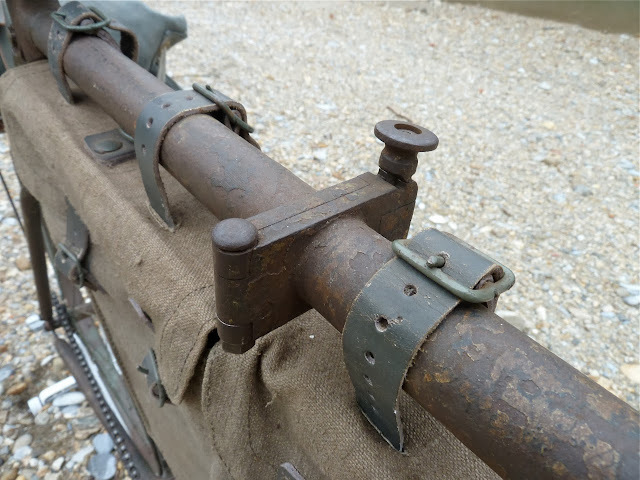 The Steyr Waffenrad M10 was built until 1916, then the M16 followed. 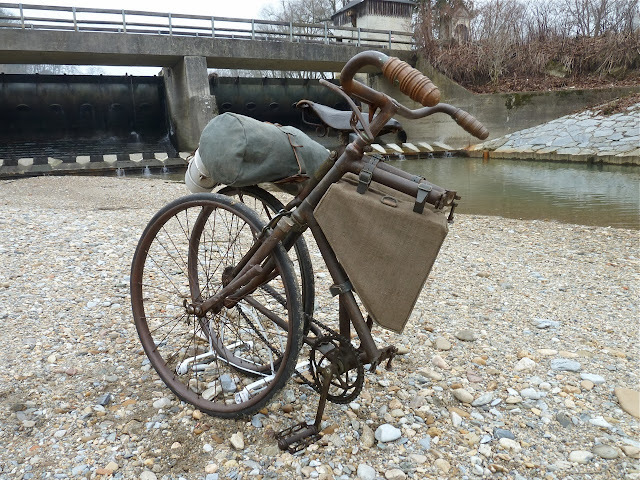 After WW1 no more folding bicycles were built by Steyr. 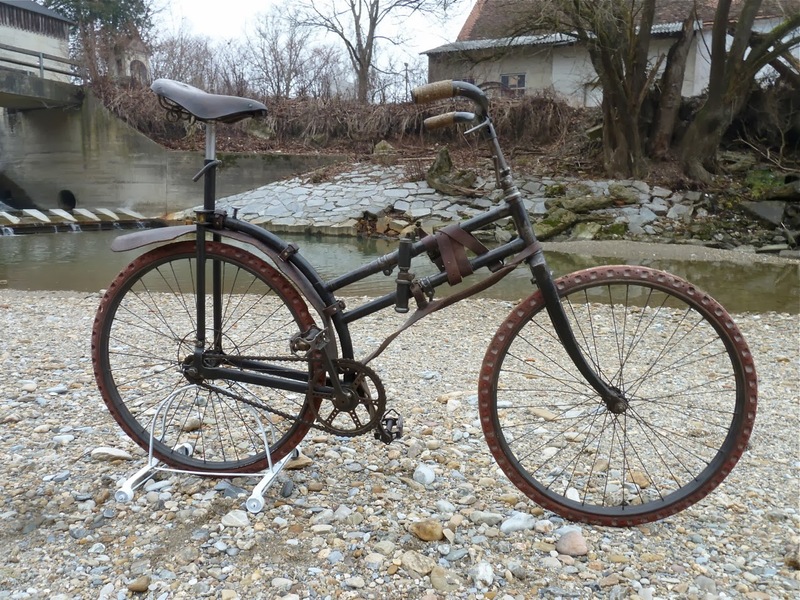 The Steyr Waffenrad M10 is a 28 inch bicycle with a folding frame and folding handlebar. 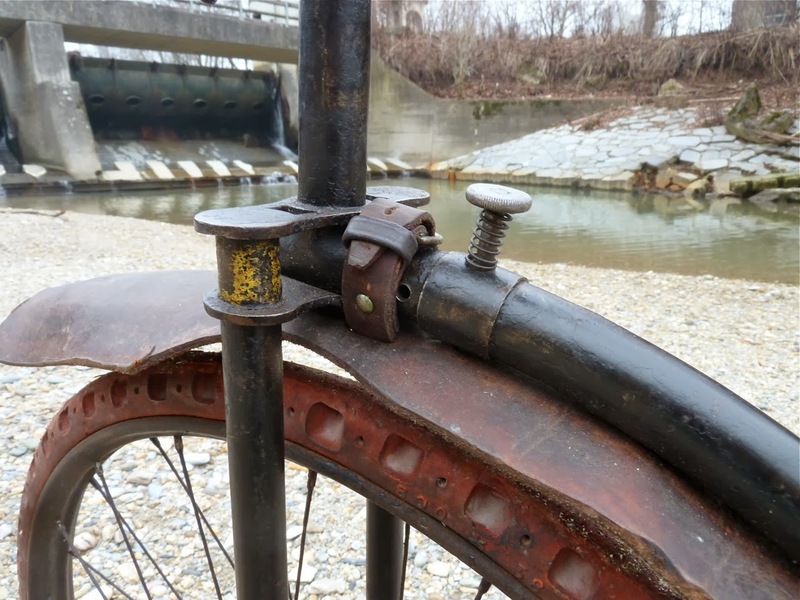 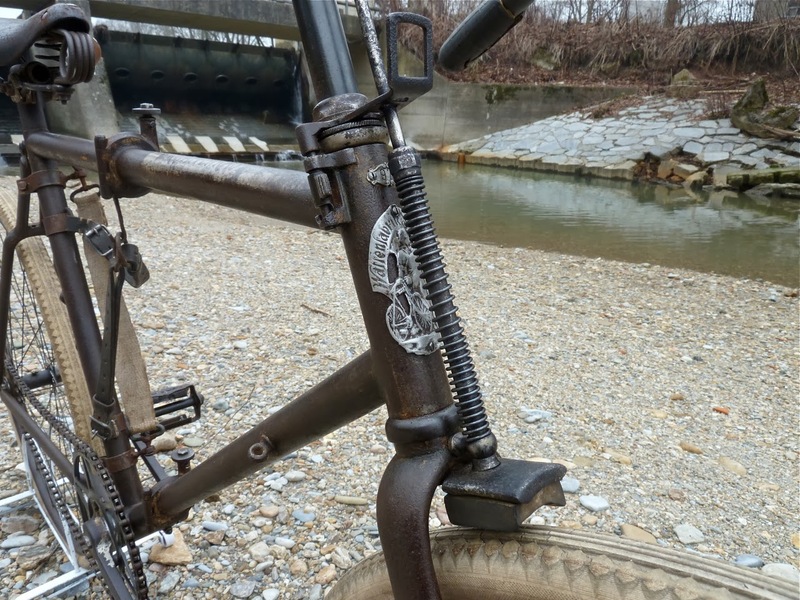 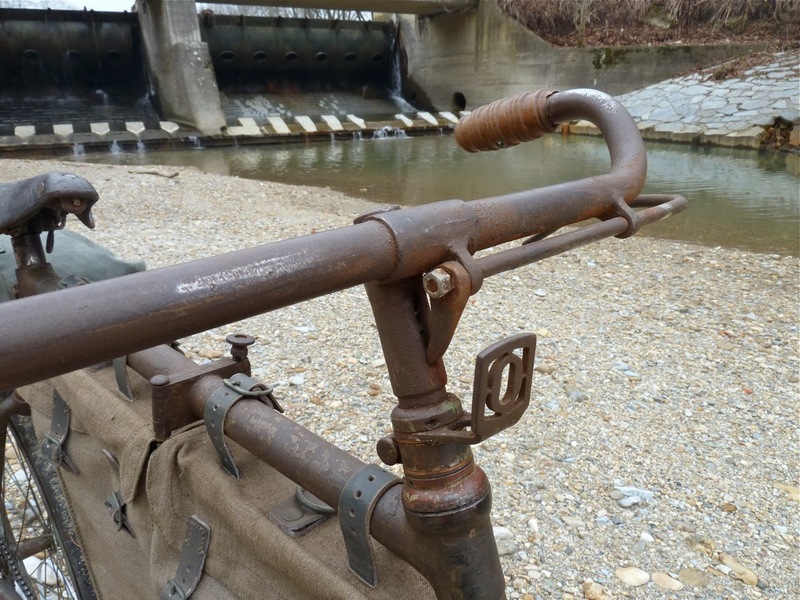 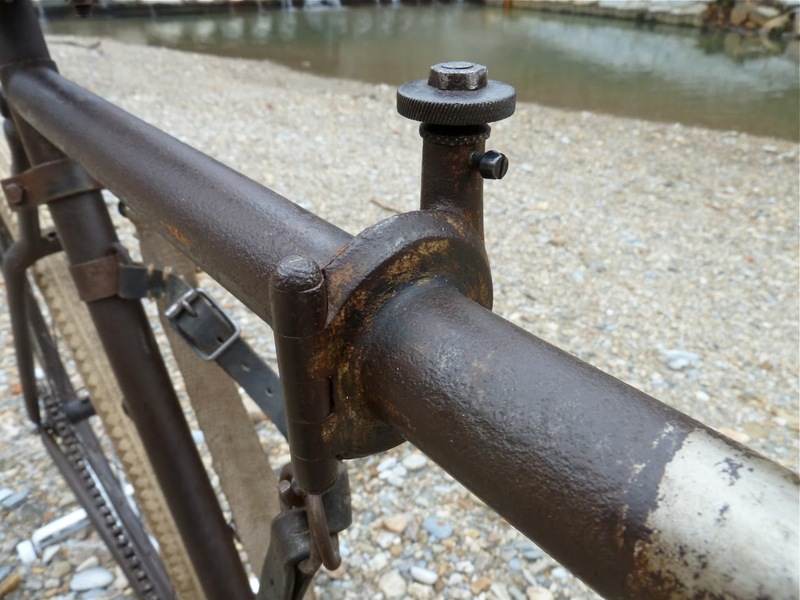 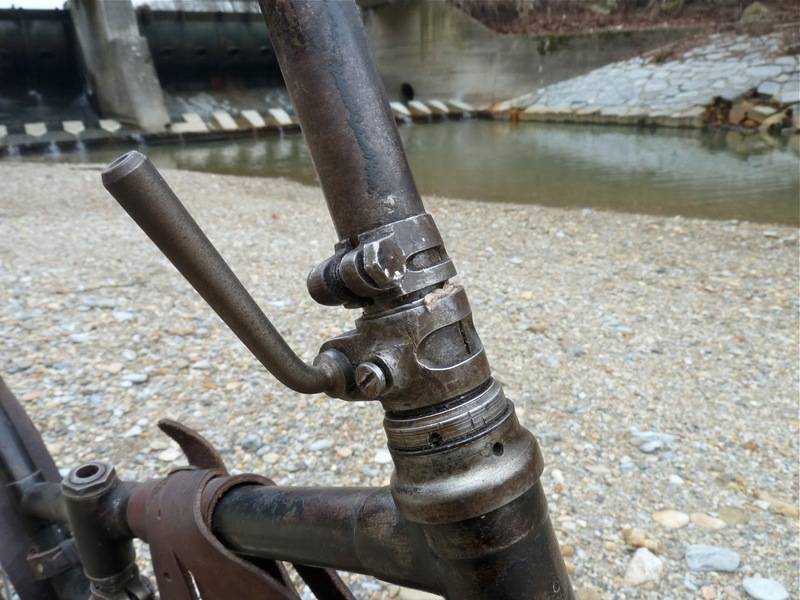 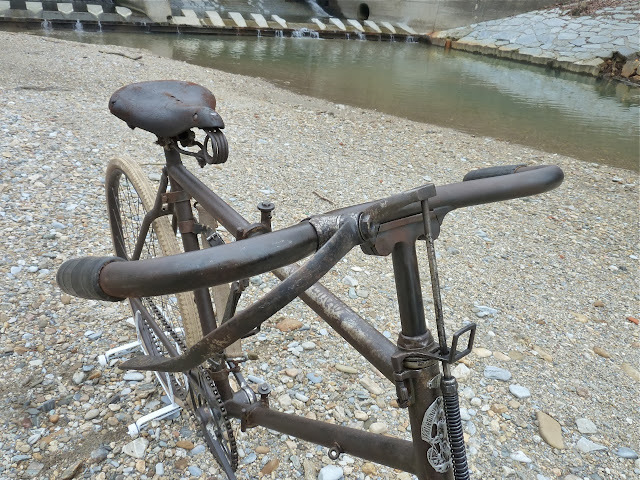 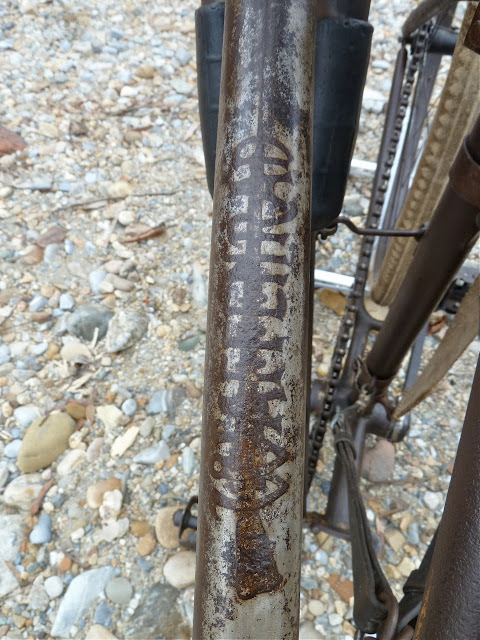 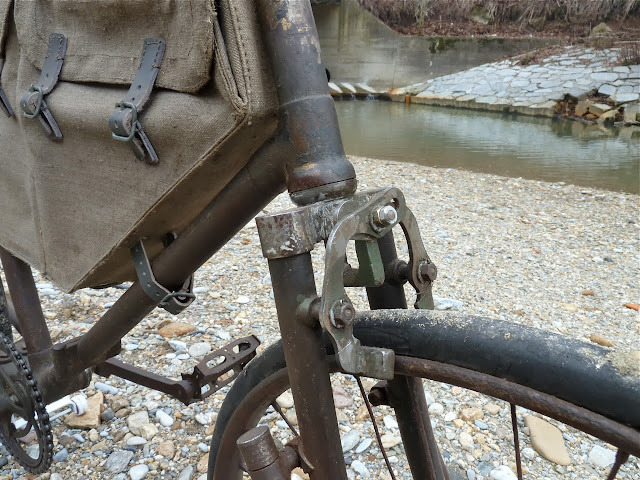 The bicycle is very similar to the civil Steyr bicycles of that era, "Waffenrad"-etching on the upper tube (the etching on the M10 is more in front of the tube because of the folding mechanism), typical Steyr handlebar lock, typical Steyr gearing and chainwheel. 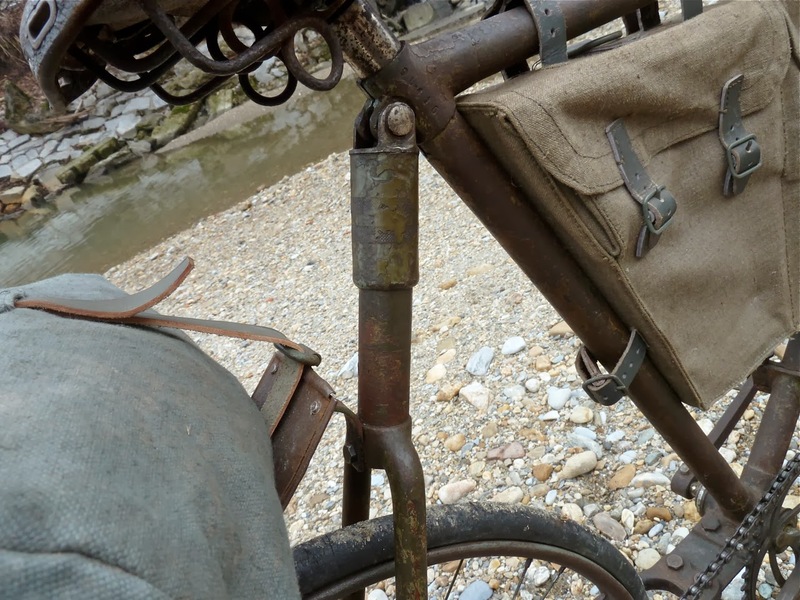 The handlebar, which is equipped with the Steyr-patented brake system, looks familiar to the italian Rossi-Melli handlebar and it is supposed that Steyr built it under license of Mr. Rossi. 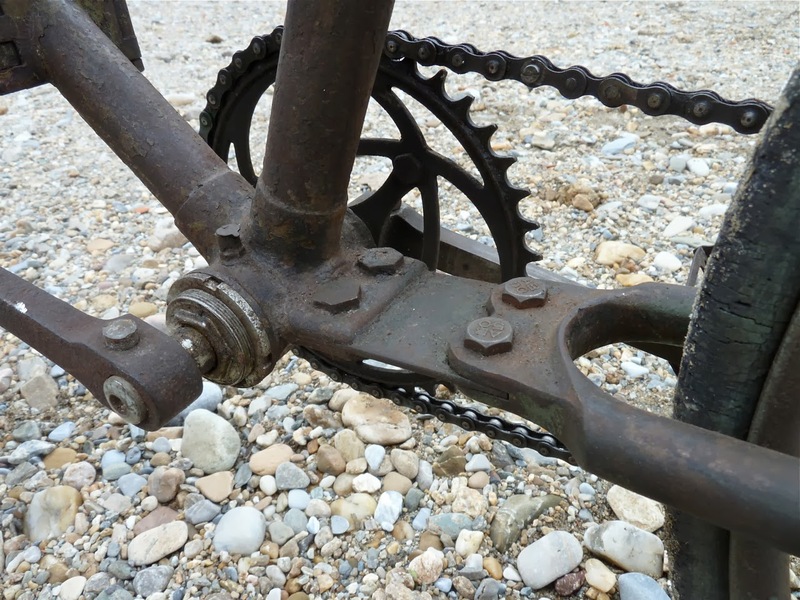 The M10 is a fixed-gear bike (all M10 were fixies until 1916). 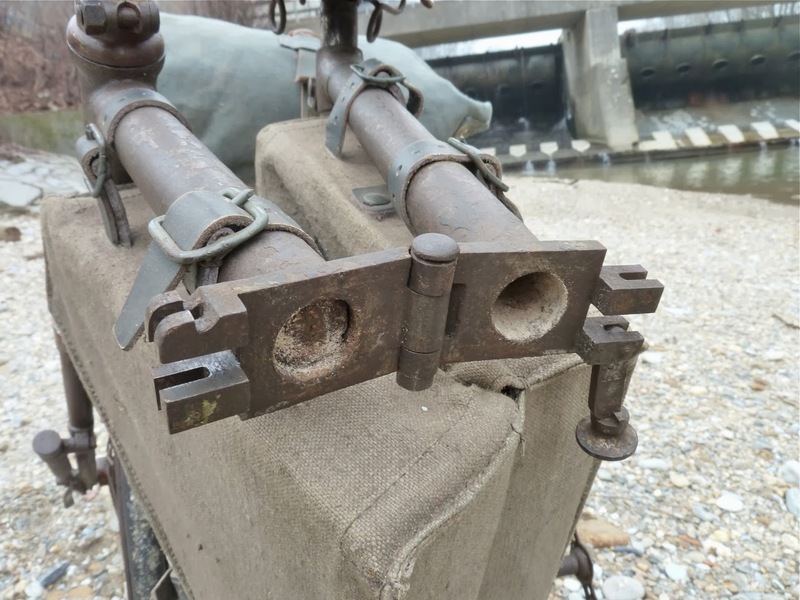 Originally the M10 was fit with 40 spokes in front and rear. The colour of was light beige, maybe there was a light green version too. All blank (bare metal) parts were finished black. 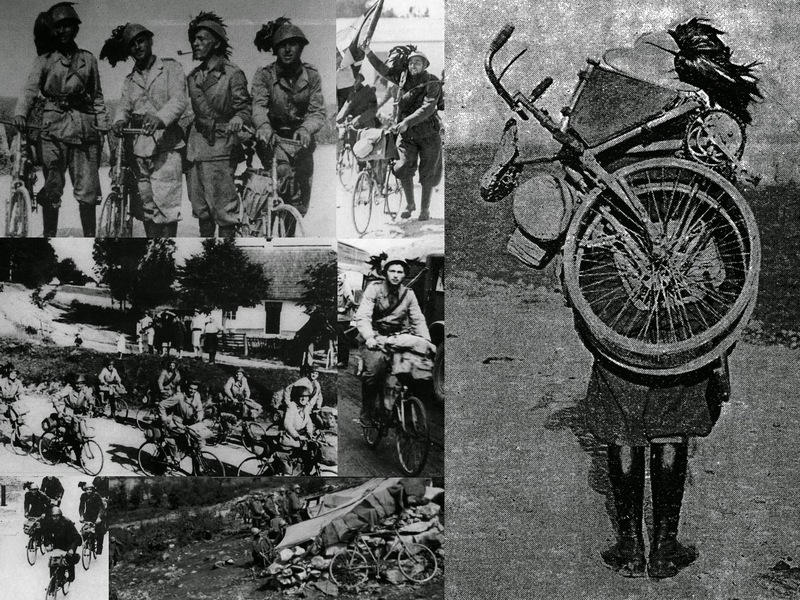 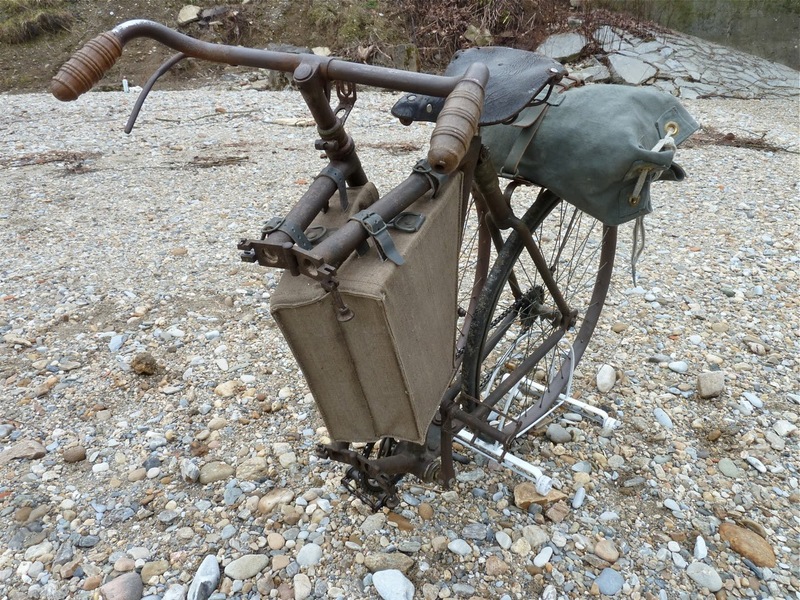 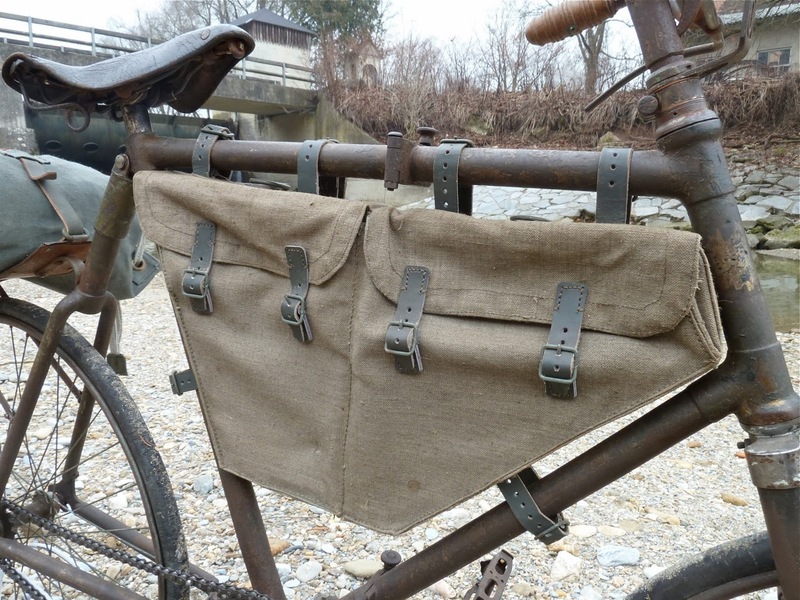 To carry the bicycle it was fixed with leather stripes to the soldiers backpack. 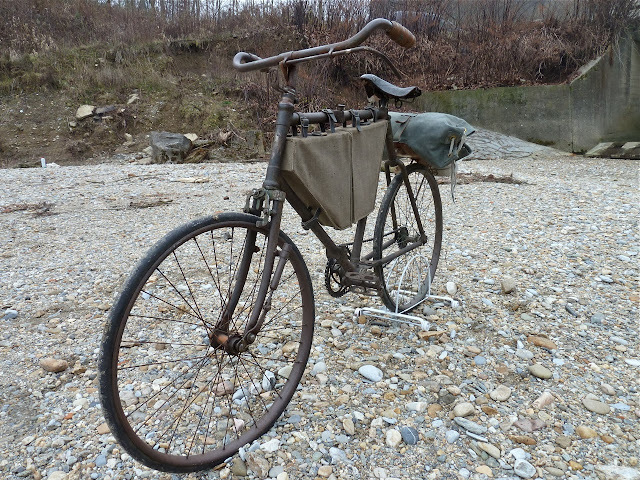 The Technisches Museum Wien owns a Styria folding bicycle, which seems almost unused. 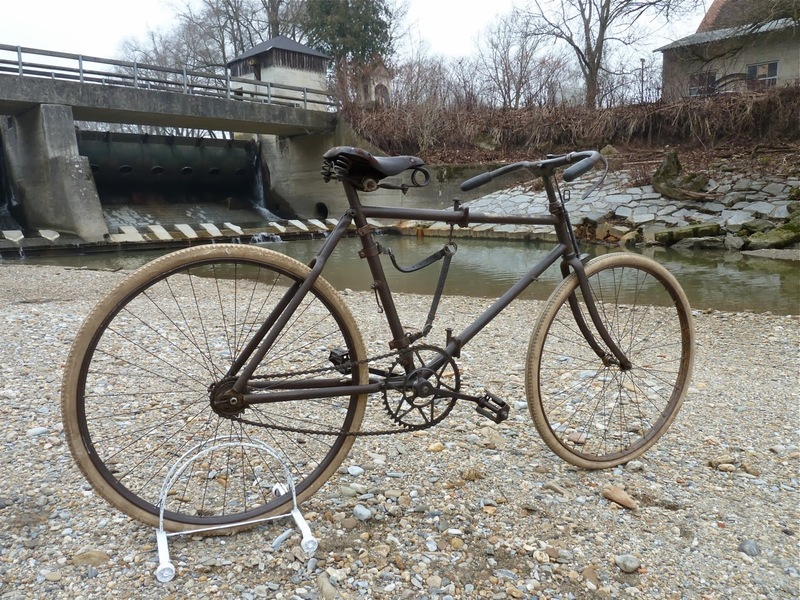 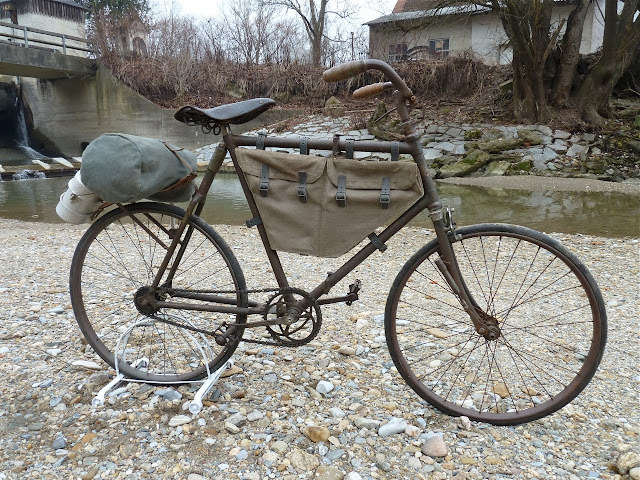 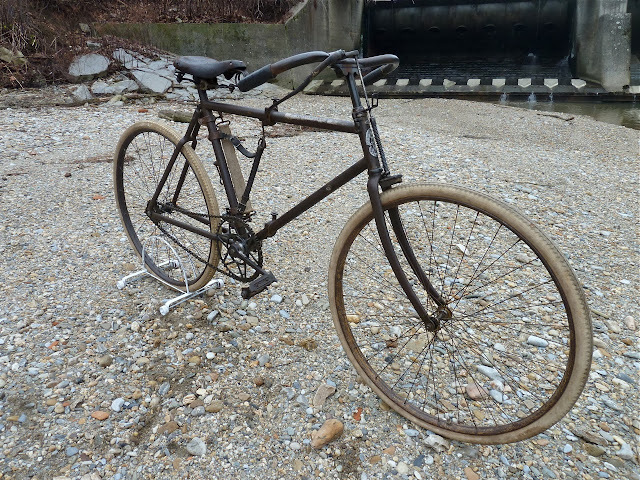 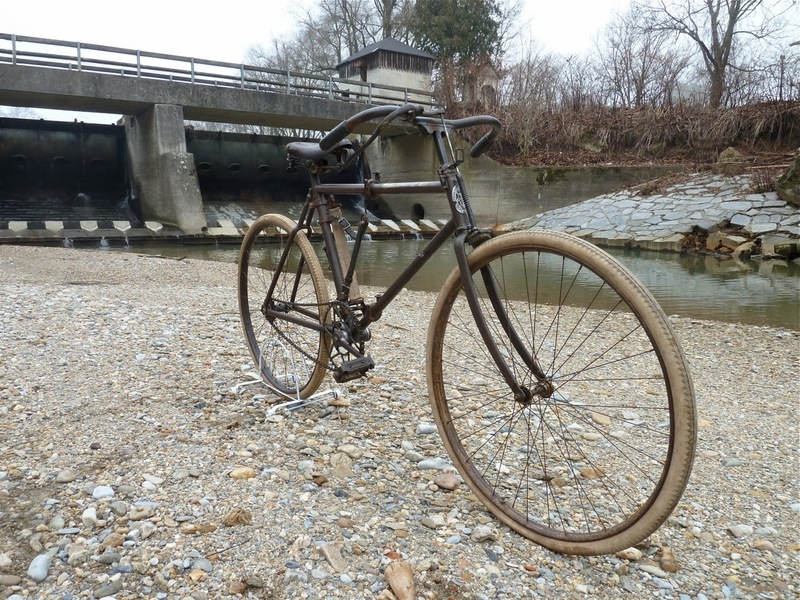 The bicycle was donated to the museum by Styria Fahrradwerke in 1915 - see it here. This bike is very similar to the Steyr M10. 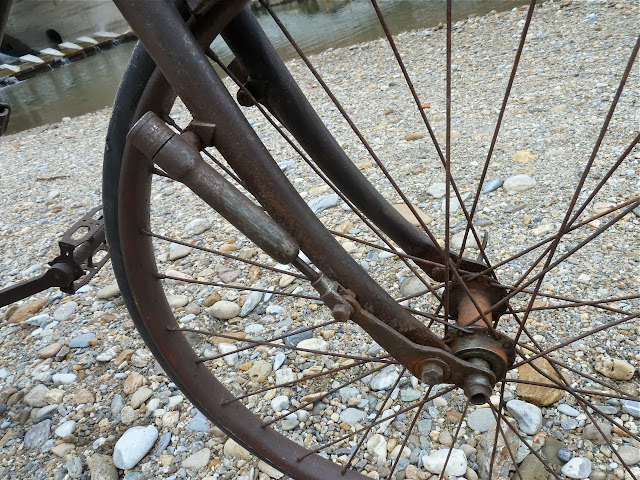 Beyond the seat the bicycle has a little brake. 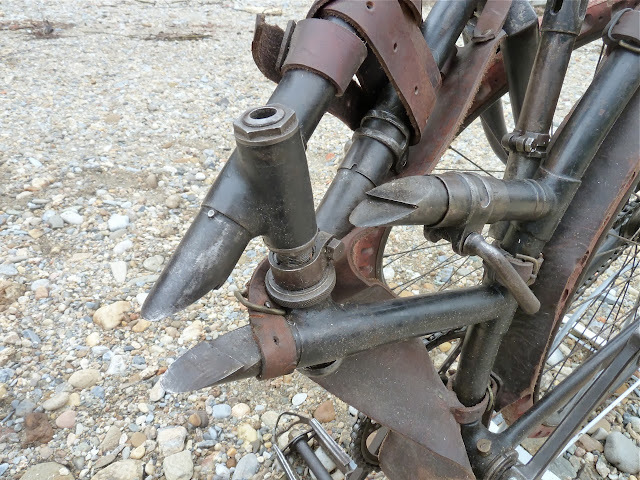 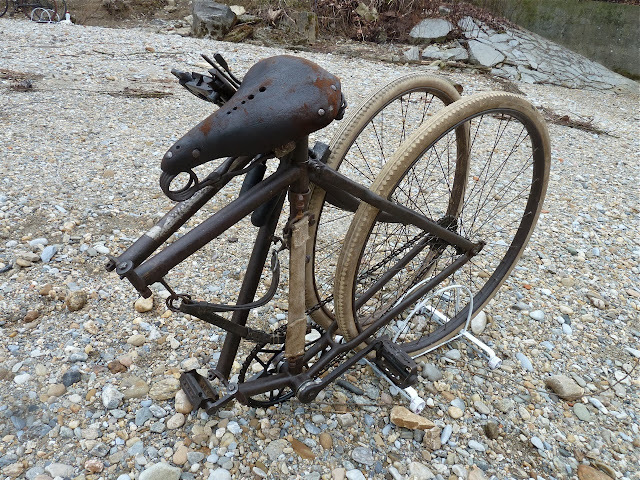 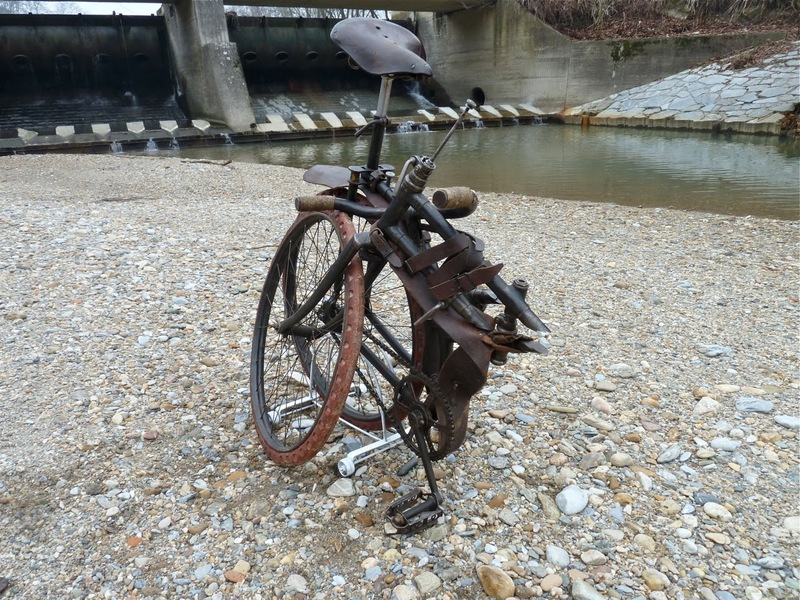 Maybe this one was used to fix the rear wheel while carrying the bike on the back. 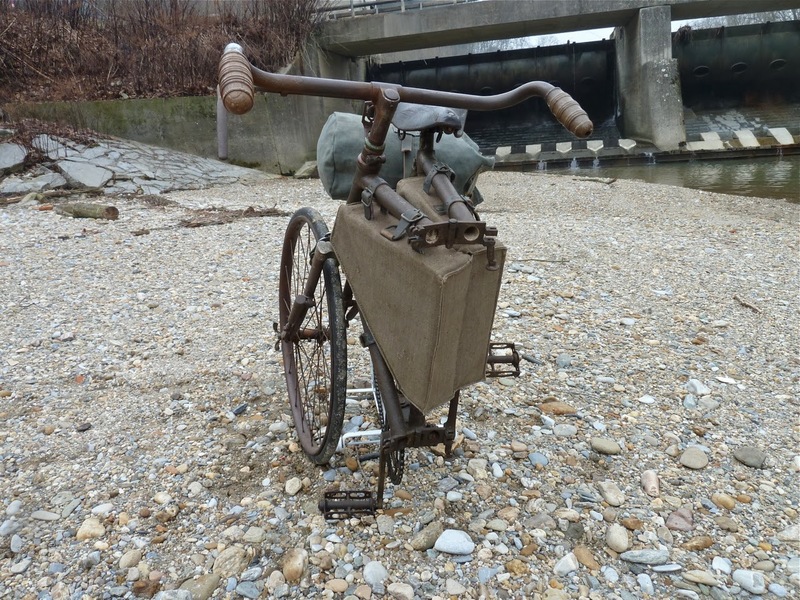 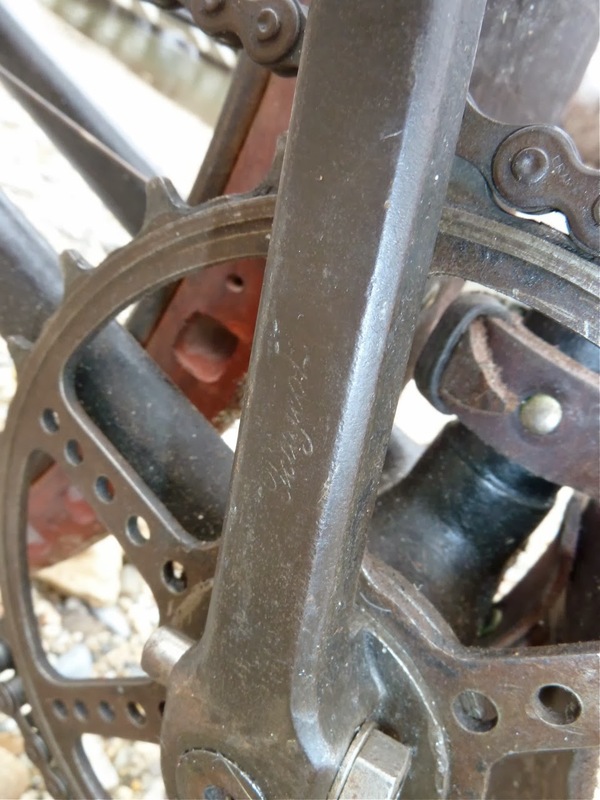 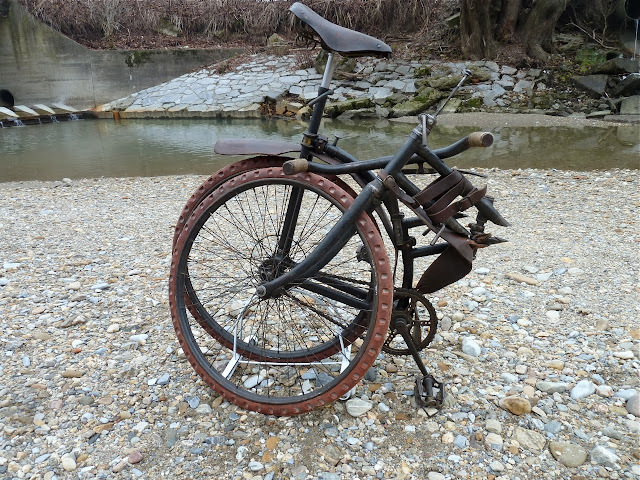 Originally the Captain Gerard folding bicycle was equipped with pneumatic tires, this one has hard tires, 600 x 38. 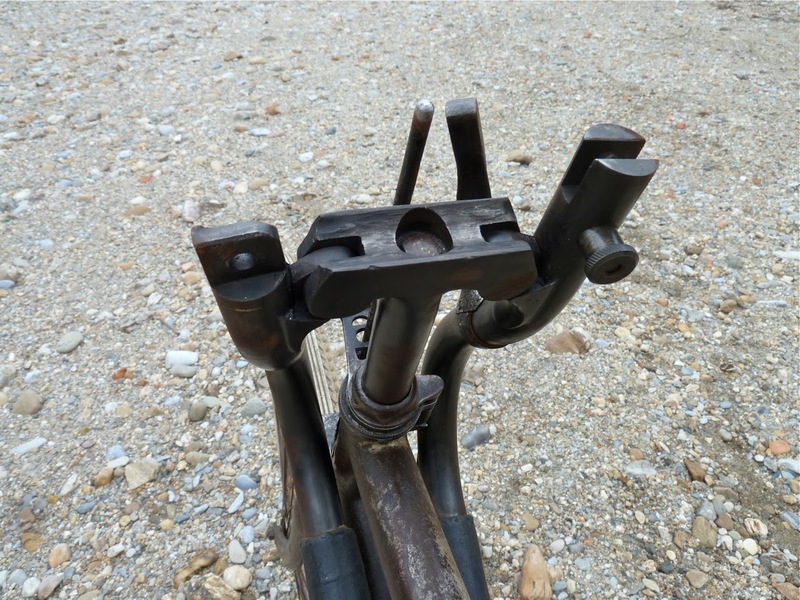 To fold the bicycle first the handlebar has to be dismounted, then you open two handles at the frame and fold the bike. 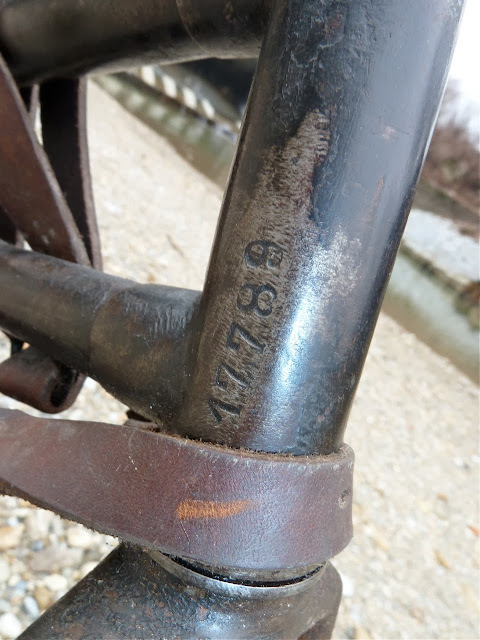 The front fork has a spring, bejond the seat you can find another suspension too. 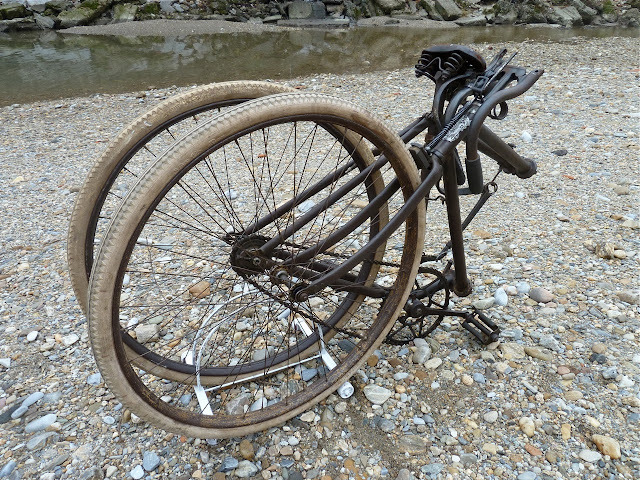 The framebag is foldable too. Its very easy to fold and was carried on the back. 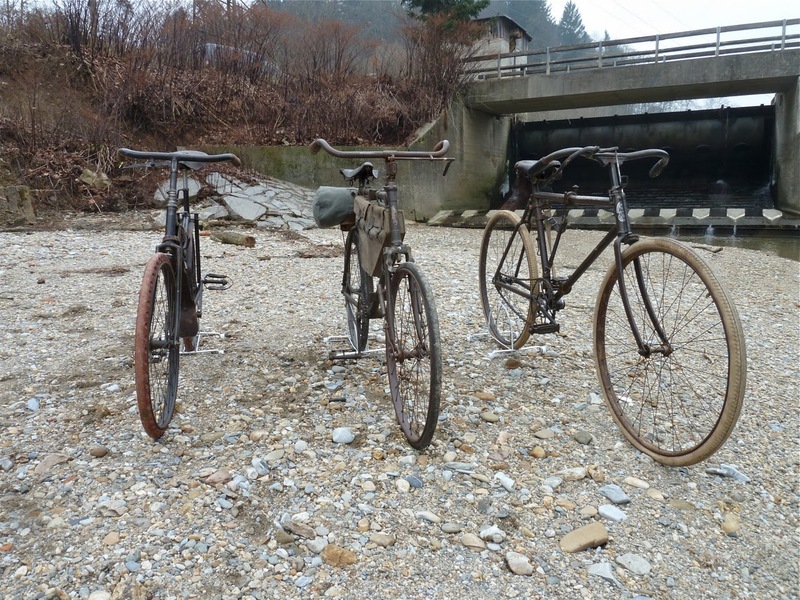 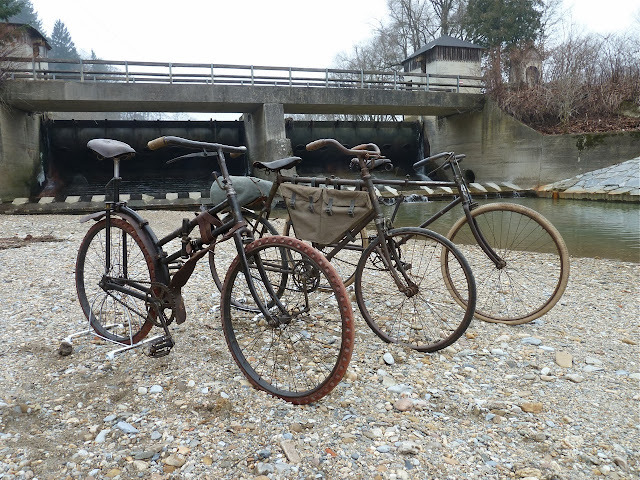 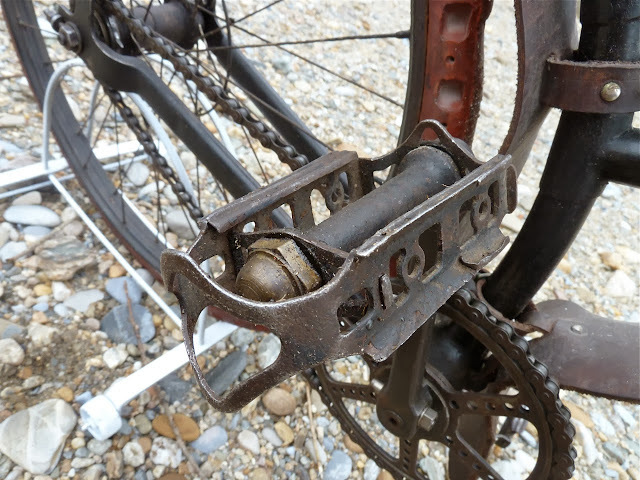 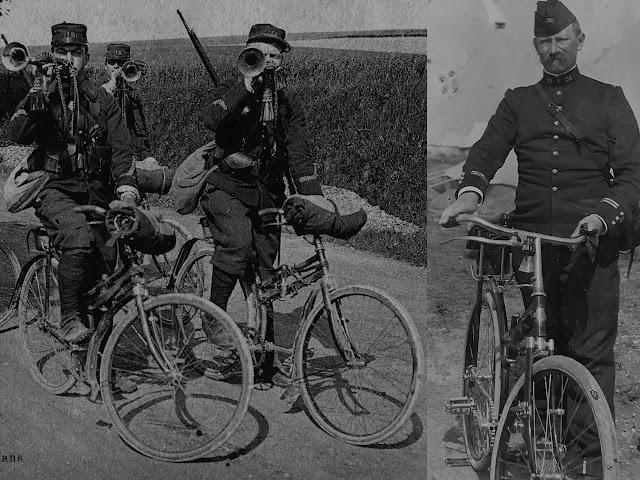 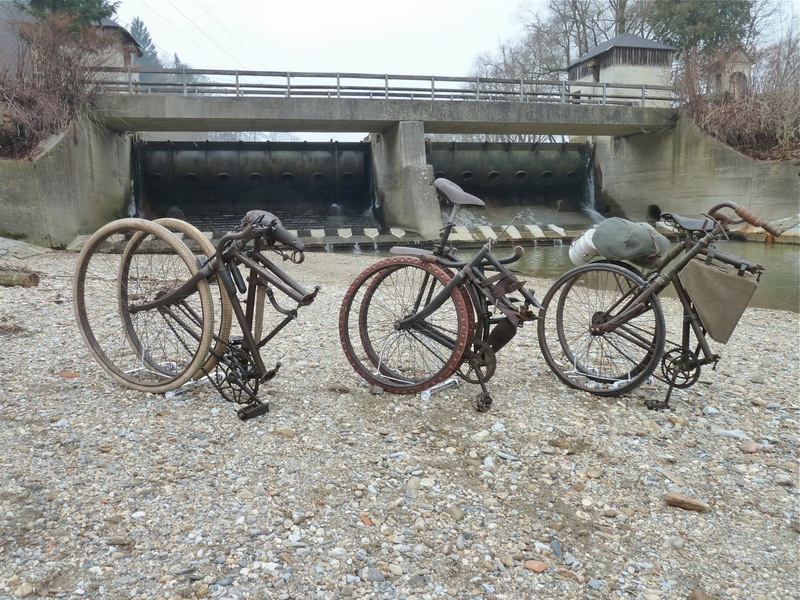 Riding the bicycles: When you compare those three WW1 bicycles, the first thing that is eye-catching is the different size. 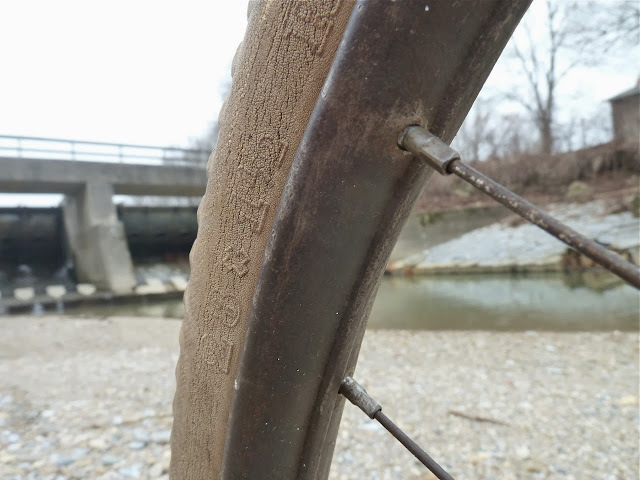 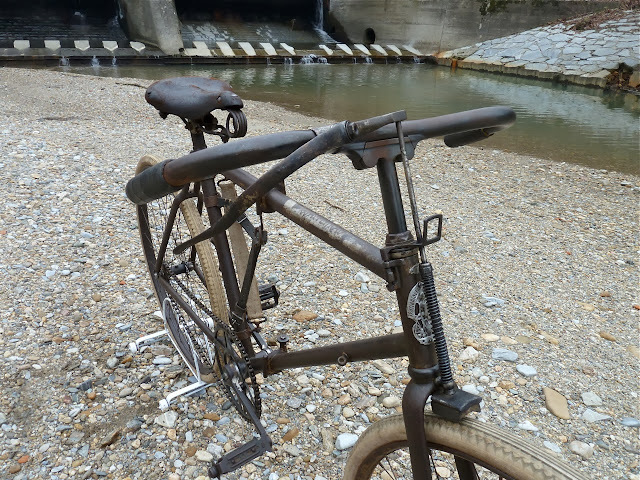 The Steyr Waffenrad with its 28 inch wheels has the size of a standard mens bicycle. 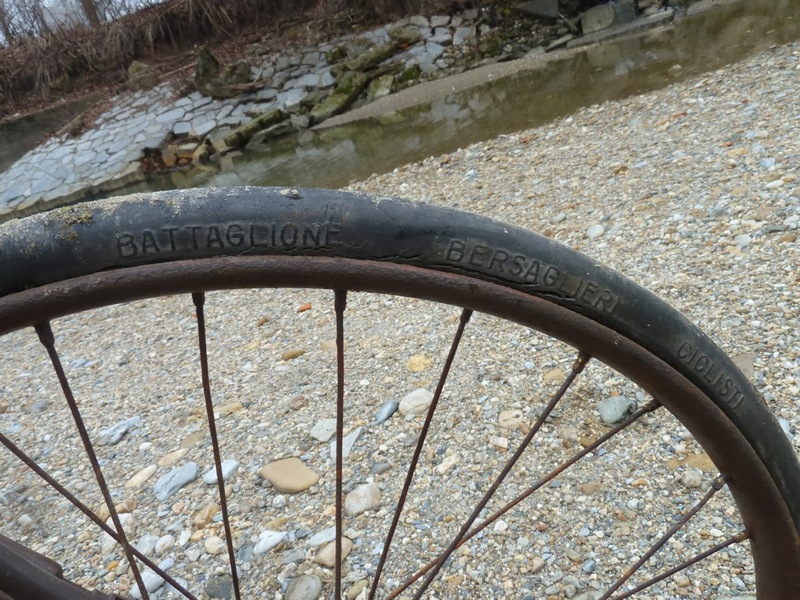 The Captain Gerard bicycle has 26 inch wheels, the Bianchi Bersaglieri 24 inch wheels. 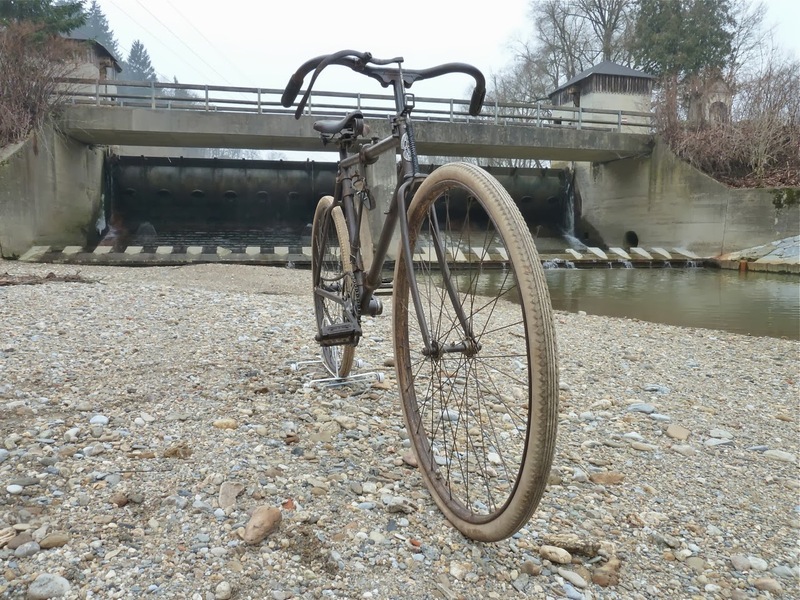 If you are 1,85 m tall (which i am) the Steyr Waffenrad is good to ride. 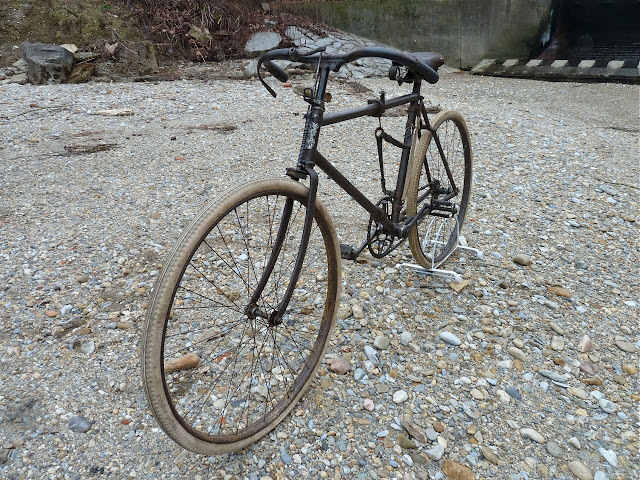 The Captain Gerard with its small frame but tall seatpost is possible to ride too, but the handlebar is low and steering is strange. The Bianchi Bersaglieri is possible to ride too, but very uncomfortable. 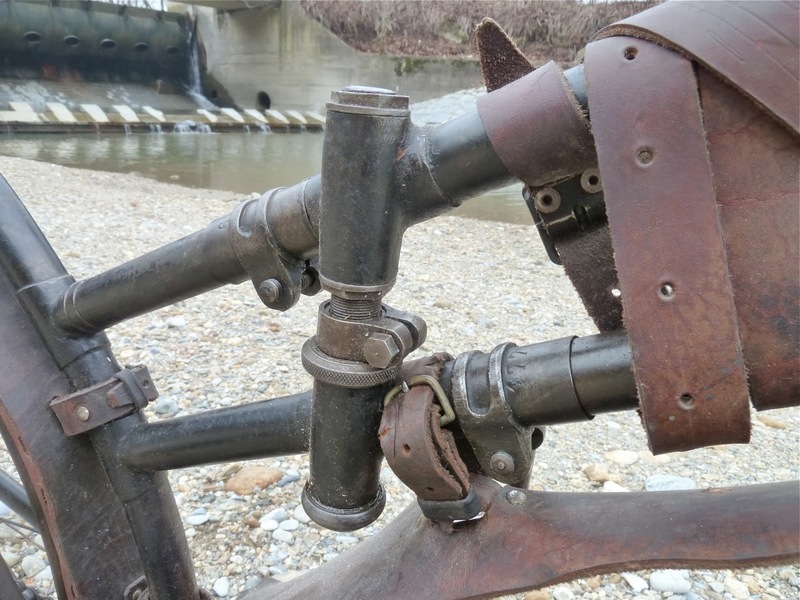 I think the Steyr Waffenrad was the one of the most comfortable military folding bicycle in its era, with its big pneumatic wheels, and the long and somewhat tall frame. 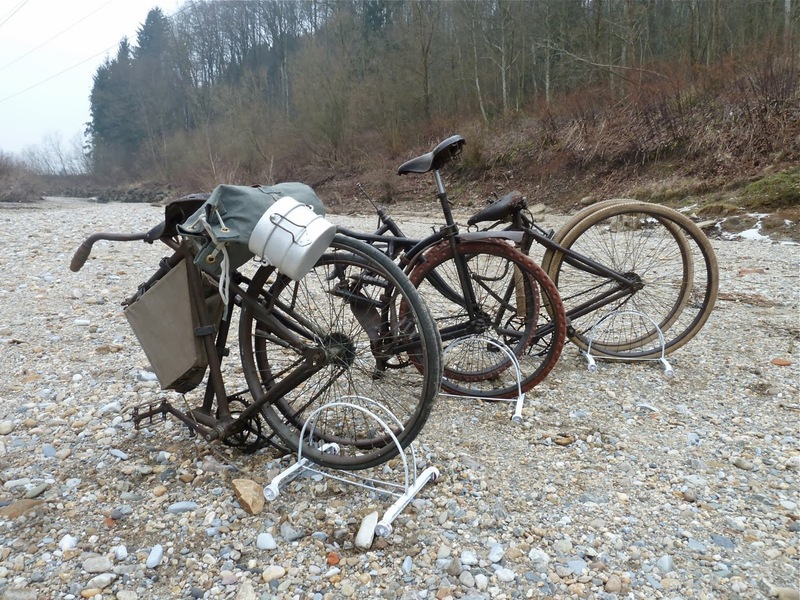 Folding the bicycles: The Steyr Waffenrad is not as easy to fold as the other two bicycles are. 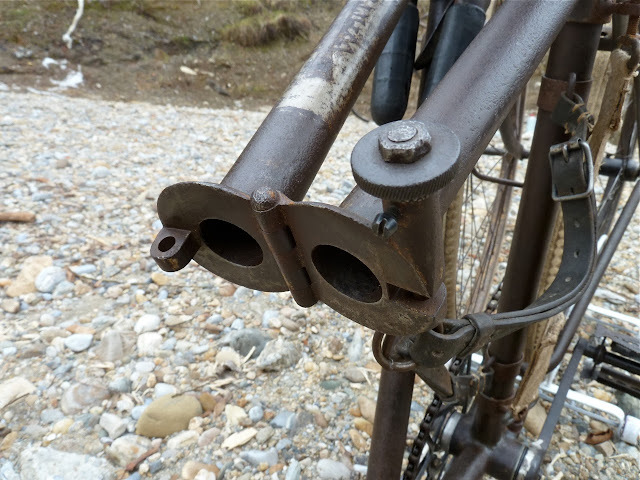 First you fold the handlebar, which is simple. Then you must open the upper and lower handle at the same time and start to fold the bicycle with your knee. 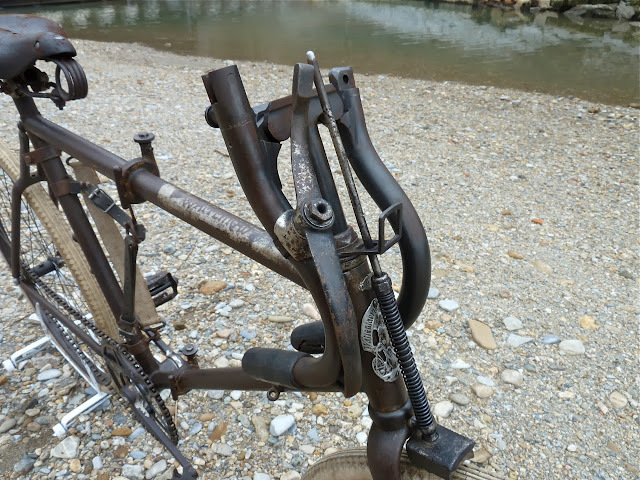 When you have folded it you can fix it with a little hook, which is a nice advantage compared to the other two bicycles. 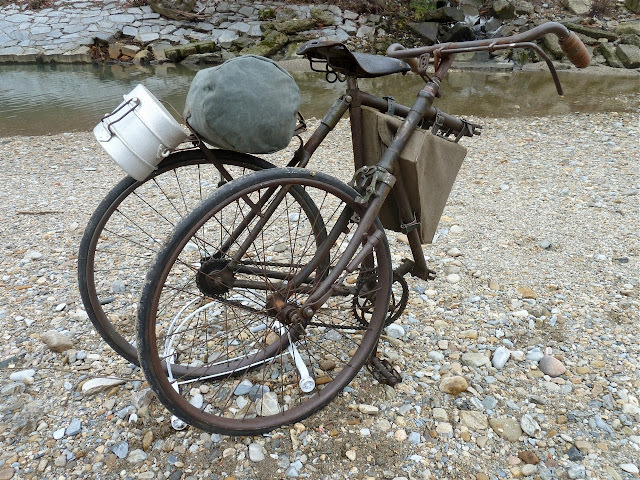 The weight is 16 kg. 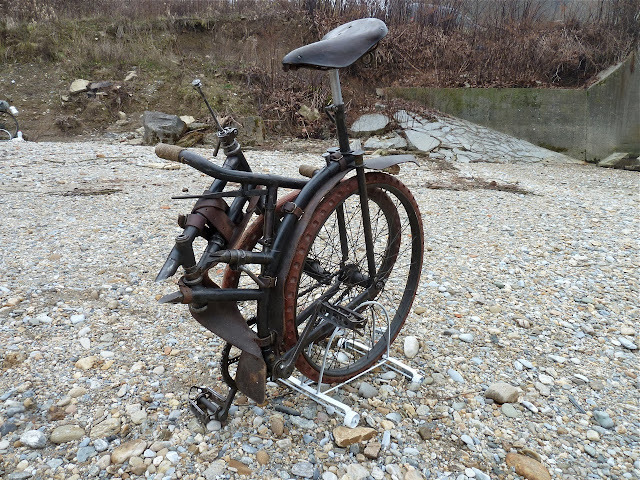 The Captain Gerard bicycle is easy to fold. First you dismantle the handlebar by opening a handle, the you open both handles at the frame and fold the bike. 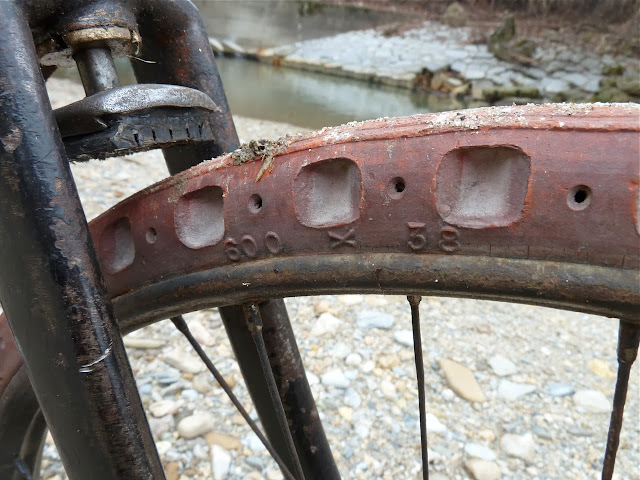 The weight is 15 kg. The Bianchi Bersaglieri is easy to fold too. 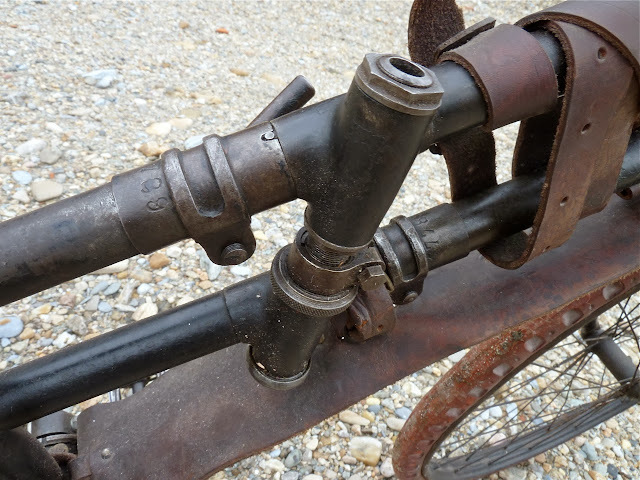 You only have to open both handles, the machanism is familiar to the one of Steyr, but more comfortable. 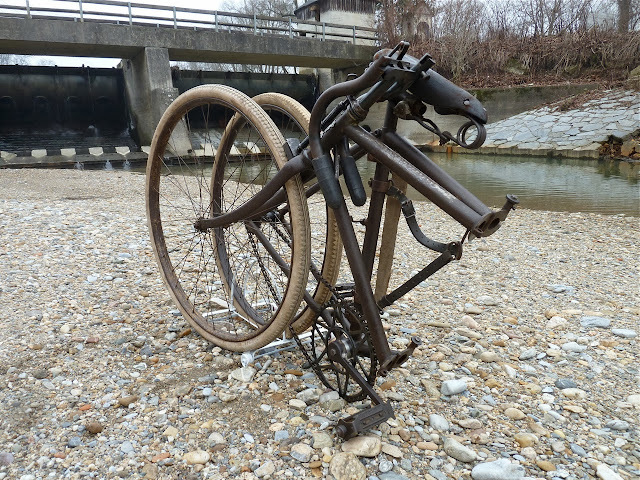 The problem with this bicycle is its weight - 20 kg!